LifExchange is excited to offer the opportunity to live and work in Australia in partnership with The Global Work & Travel Co. If you are between the ages of 18-30 you are eligible. The best way to experience another country is to live there – to really get to know the places and people who make it unique. There’s no better way to do that than through The Global Work & Travel Co., the number one working holiday company with offices around the world, connecting travelers with exciting new opportunities since 1996. Citizens from 27 countries across the globe, including the US, are eligible to work and travel in Australia for up to 12 months. To find out if you qualify for an Australian 12 month Working Holiday Visa, visit the Australian Department of Immigration and Citizenship. The world’s largest island offers more than just sun, surf and sand; with natural wonders dotted across the wide brown land, a rich cultural history and bustling multi-cultural cities Australia offers an experience to suit everyone; find your piece of Australia today! Finding a job in Australia by yourself can take a lot of time, money and effort and once you have found one you have to worry about setting up a bank account, finding accommodation, getting a Tax File Number and more. 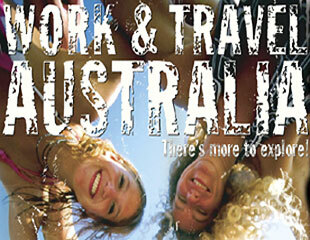 Signing up with LifExchange and The Global Work & Travel Co. will make finding work easy! Allowing you to save money, rest easy and enjoy both your working and playing time to the fullest. LifExchange offers step by step support and assistance in choosing the program that is right for you. 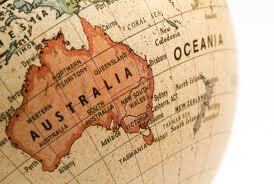 Choose from three Work & Travel Programs to Australia to cater to all your needs. Previous PostRoad TripNext PostWelcome to our Thai Students! Thank you for inquiring about the LifExchange Work and Holiday program. Someone from our office will touch base in the next 48 hours. In the meantime feel free to email us any questions at Travel@LifExchangellc.com.